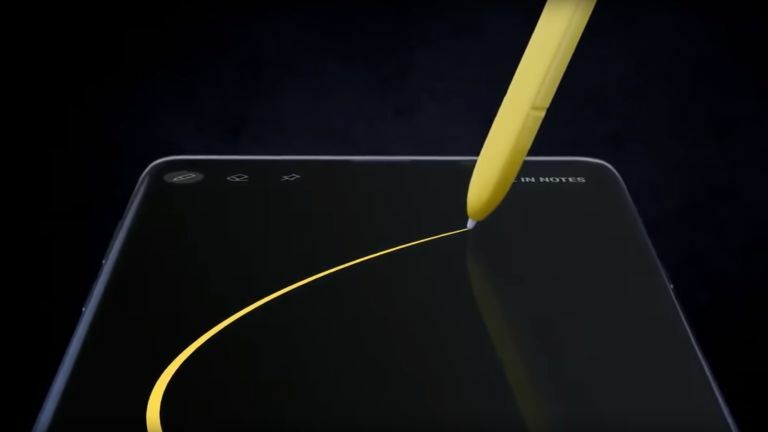 The Samsung Galaxy Note 9 is expected to get an unveil at the company's Unpacked event on August 9, but it's the new S Pen that could steal the show. Sure, the Samsung Galaxy Note 9 has got some amazing specs that have leaked already. There's that 6.4-inch QHD+ Super AMOLED display, the dual 12MP f/1.5 to f/2.4 aperture cameras with 960fps super slow-mo, 6GB of RAM, 1TB of storage, wireless charging, IP68 toughness and a whopping 4,000mAh battery. But it's the new S Pen that really excites. The new S Pen is described on the leaked packaging as "S Pen with remote control". This is in line with previous rumours that suggest this could be a Bluetooth version of the S Pen with new sensors. As such the button could be use to wirelessly control functions on the phone, like a camera shutter or slide show, but also on other devices, like a Samsung TV. There have even been rumours to suggest the new S Pen may have motion sensors allowing it to double as a gaming controller while the Note 9 sits locked into a VR headset. That would help to explain the need for the larger 4,000mAh battery which now presumably needs to charge that Bluetooth S Pen when it's docked in the phone. Expect to hear even more leaked ahead of the August 9 Unpacked event where the Samsung Galaxy Note 9 and new S Pen get revealed officially, all with a decent price too.